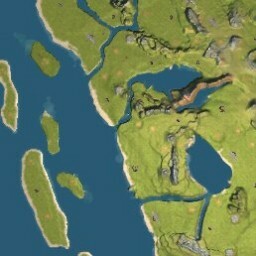 This map Thomas the tank engine and his friends in their island of Sodor. Rodea’s Sodor Island is delightful both for the rich choice of Thomas Tank engines, and its high strategy and replay value due to the clever production chains. Initially, it may take you all three eras to complete the map at investor level. But as you gain a deeper understanding of the production possibilities, early Robber Baron success is quite possible. 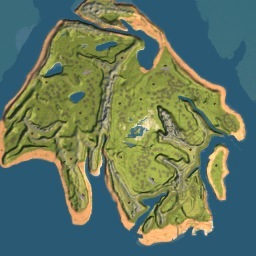 Warning: As of writing this is the largest map yet, do not try and play this unless you have a recent and decent computer. 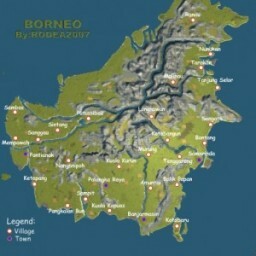 This map comes with many new trains and models most with animations as well as other modifications. It is also a very challenging map but it has been beaten before. There are a lot of new industries and other neat details, that are Not in the original game. New mines, oil rigs, container port, offshore oil platform, shrimp processing, palm trees, dams on the rivers, cotton fields, fruit orchards.